Expand search to view more listings in and around Charleston. See more offices in and around Charleston. 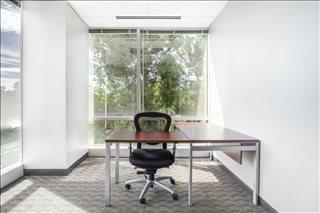 With 2 offices available in Charleston right away, we can help you get in to office space that is perfect for you. We have in-depth knowledge of the local office market which enables us to find the property you need from a broad selection of ideal locations and office space options. Many of our offices offer simple, short term and flexible rental contracts, meaning that you can have the benefits of an extensive range of facilities and a prestigious business address in Charleston. Offices.net's goal is to help your company find the ideal work environment, arrange a rental agreement that suits you, and get you into your new office space as quickly and smoothly as possible. There are a wide range of office types, from conventional space to serviced offices, from work space to fixed desks and office suites for teams and larger organizations. We would be happy to help you navigate the options and find the office space that is best for your company. A large proportion of the office buildings offer an extensive range of business support services which include telecommunications set up, high speed internet and network wiring, trained reception and office administration personnel and, in some cases, IT support staff. Additionally, numerous business centers also provide conference and meeting room services with video conferencing, free car parking, kitchen areas and, in some cases, even onsite gyms. 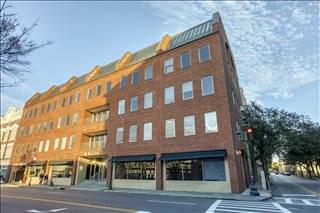 Simply choose one of the Charleston offices for rent listed above. All of the offices space and executive office suites are available on temporary rental terms to suit requirements and are located in prime Charleston business positions. In addition, we have a selection of modern commercial office space available for immediate occupancy in prime business locations in a number of other cities in South Carolina.